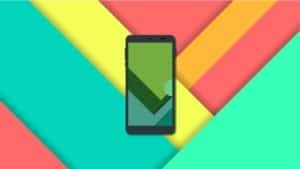 This course will teach you Material Design for Android. You’ll learn how to build beautiful Android apps. Master Material Design Concepts effectively for the Android platform. The main goal of this course is to teach you how to build amazing Android apps using the Material Design language. You’ll learn by practicing your mobile development skills and by building beautiful Android apps. The Material Design language has now become one of the most essential and important tools to build beautiful and smooth Android apps, and it would be a shame not to learn it! My name is Morteza Kordi, senior mobile app developer and Udemy instructor with over 30,000 satisfied students. I’ve created The Complete Android + Java Developer Course, The Complete Android + Kotlin Developer Course and The Complete Android Material Design Course. I’ll personally be answering any questions you might have and I’ll be happy to provide links, resources and any help I can offer to help you master the Android’s Material Design language. In this course, you will discover Android’s design best practices and tools. You’ll learn how to make your Android apps dramatically stand out of your competition! Don’t wait and join us now by clicking the BUY NOW button! This Course teaches the more Advanced Concepts of Android App Development, so it’s also Essential for Advanced Android Developers too.